Over 5,500 pages of emails from former Secretary of State Hillary Clinton were released by the State Department today, but fell short of a judge’s order that 82 percent of them would be made public by the end of the year. Around 3,100 emails, dated from 2009 to 2013, were included in the latest release. 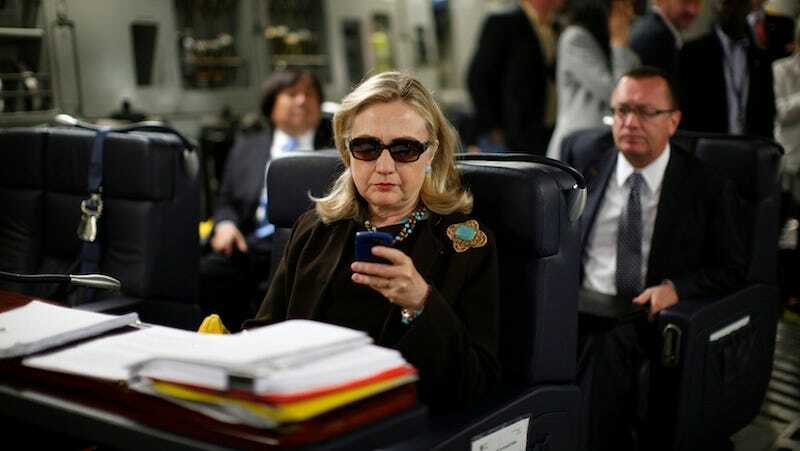 One of the them references a very memorable photo of Clinton in which she is shown wearing sunglasses while she checks her BlackBerry. Other emails include a flow chart that displayed who had riding privileges with Clinton, as well as a very grim birthday greeting.